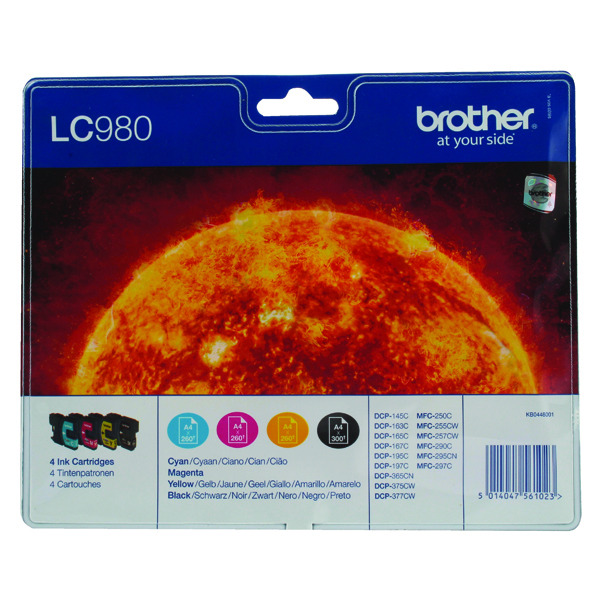 With a reputation for quality, reliable components, you can trust in Brother LC980 cartridges for top quality, high resolution results. 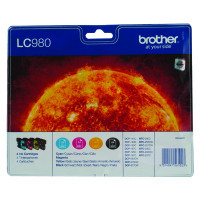 Brother printers work with separate ink cartridges meaning you only have to replace the empty cartridge. Providing high quality results with rich black text and vibrant colour smudge-resistant prints, this high yield cartridge value pack (one each of black/cyan/magenta/yellow) produces up to 300 pages (black) and 260 pages (per colour cartridge) at 5% coverage.